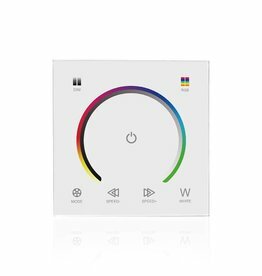 White wall touch panel dimmer for RGB LEDStrips. 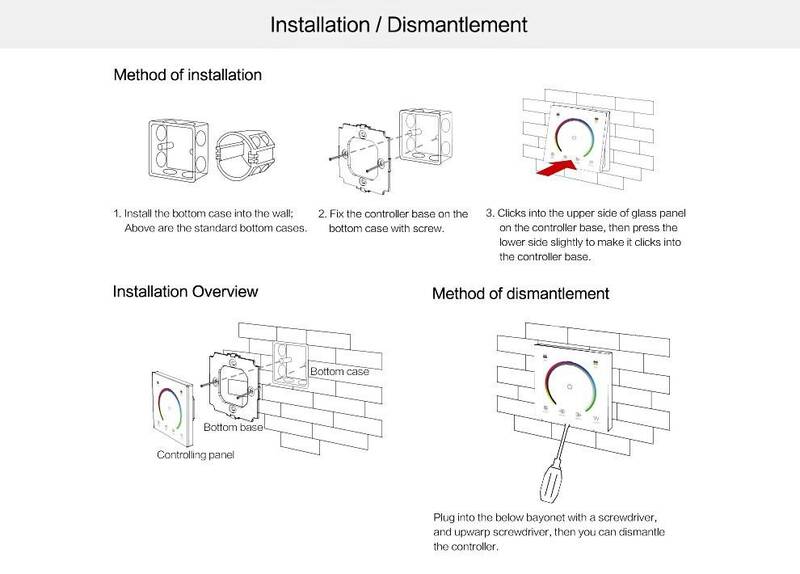 Thanks to the glass panel, this wall dimmer looks great in any interior, and is easy to clean. 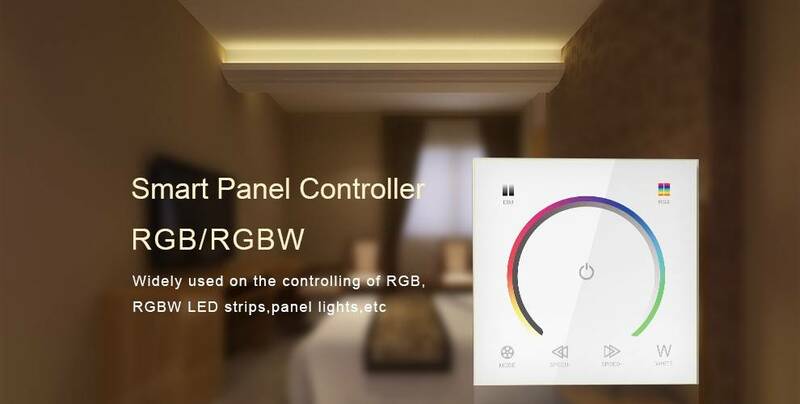 We also sell an RGBW, Dual color and Single color Touch panel in this design. 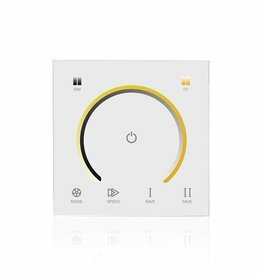 Please see "related products". 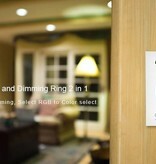 - 20 Seconds delay when switching off, allowing you to leave the room. 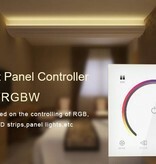 - Possibility to save a number of presets. 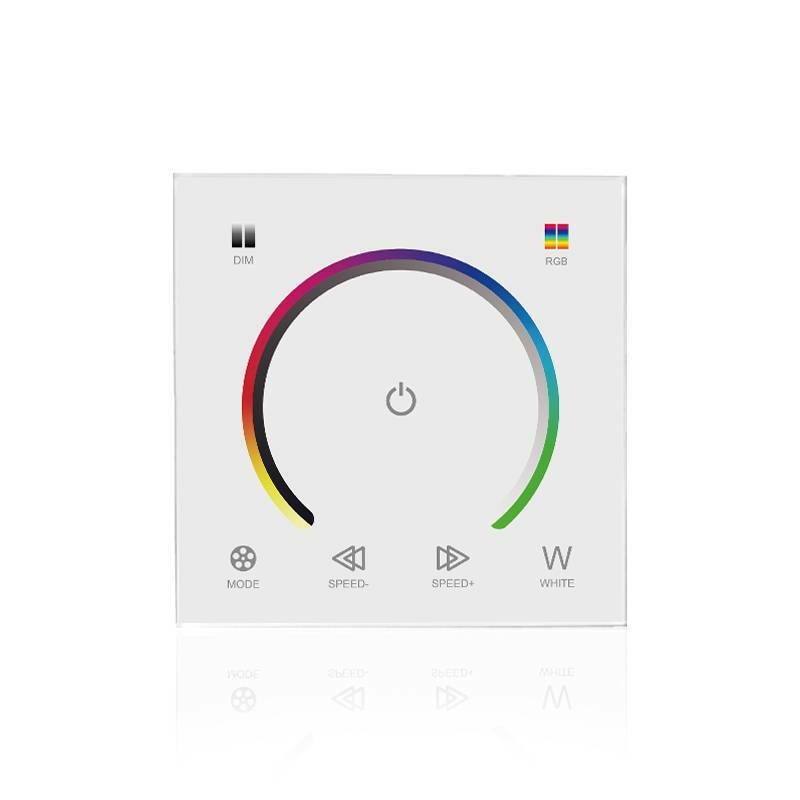 - The buttons light up in the dark. 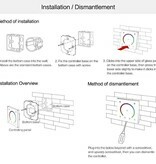 The wall dimmer is connected between the 12V / 24V power supply and the LED strip. The max. 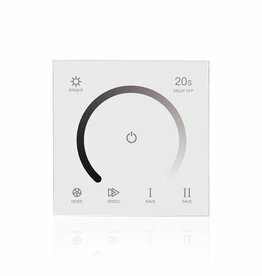 output power of this dimmer is 3x4A. 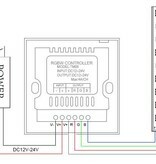 This means that you cannot connect more than 144W at 12V and 288W at 24V. 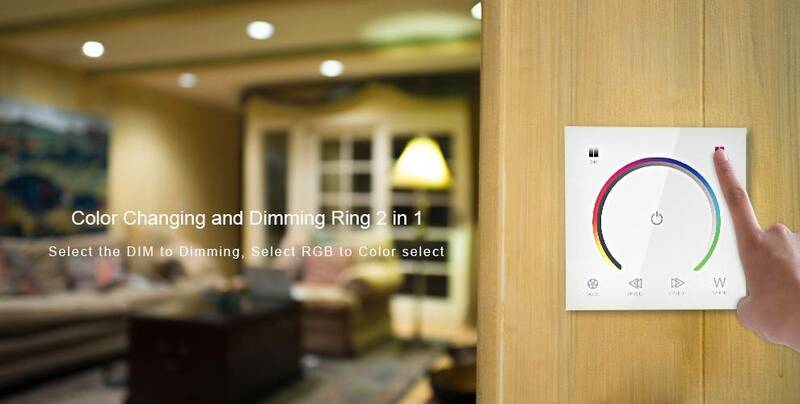 If you want to control more LED strip with this dimmer, please use repeaters or contact us for help. White RGBW wall dimmer with glass panel. 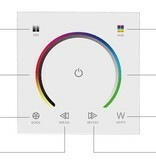 Functions: Pick a color using color wheel, fading or jumping colors, brightness control, on/off button. 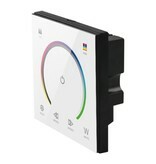 White CCT Dual Color wall dimmer with glass panel. 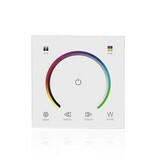 Functions: Pick a color using color wheel, fading or jumping colors, brightness control, on/off button.